Saturday April 20th is the date for the next FACE Warehouse Rave with headliners including the house legend that is Cajmere (aka Green Velvet) plus Miguel Campbell, Robert James and more to be announced. The party takes place in the all new Rainbow Warehouse to ensure classic rave vibes will be on tap all night long. Chicago’s history is full of house-music legends and innovators, but few figures loom larger than Cajmere (a.k.a. Curtis Jones). 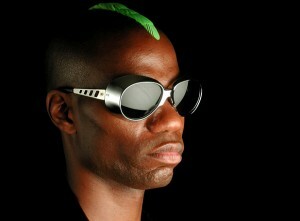 While he’s perhaps better known these days as Green Velvet, Jones first made his mark as Cajmere, heading up the influential Cajual label and dropping a slew of influential tunes, most notably “The Percolator,” which remains a classic floor-filler to this day. Miguel Campbell on the other hand is part of the new school of house heroes, with his latest full length joining the dots between disco, house, 80s pop and retro creamy stylings with ease. Rob James is a fellow Hot Creations man, and has played with the label all over the world in Ibiza, Miami and more, as well as turning in his own creamy bassline driven house. The Powder Coating Factory Launches for NYE in Birmingham.